Put your tap shoes on and get ready to tippity tappity and flappity! If you want to go beyond the tap fundamentals by diving deeper into exploring more complex patterns, timing and rhythms, then Pre-Advanced Tap is for you! This class will provide dancers with the chance to challenge themselves through exploring steps beyond the basic level and discover unique ways to use the fundamentals already known in more challenging ways. Each class will consist of a centre warm up, across the floor exercises to improve technique and exciting combinations. It is suggested that you have a solid tap foundation with at least 5-7 years of prior tap experience. So, get ready to make some noise because Pre-Advanced Tap is going to be a phenomenal time filled with laughter, learning and lots of love! 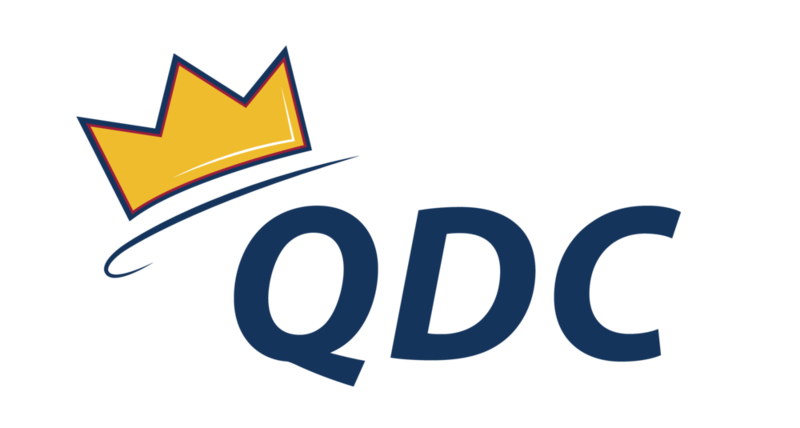 Favourite part of QDC: QDC is better than eating Dunkaroos, Gushers and drinking Kool Aid Jammer pouches. It is more brilliant than taking my Nintendog for a walk on my pink DS. It is even more spectacular than wearing crocs with jibbitz while playing on my Tamagotchi. As you can tell, I am very fond of QDC so choosing a favourite part is more difficult than teaching a wild pigeon how to fetch a dodgeball. However, I think what makes QDC so incredible is the sense of family built through the opportunities provided by the club. From classes to socials and everything in between, meeting others that have the same passion and love for dance is truly phenomenal! The friendships I have built because of this club remain the reason University has been such a positive experience for me thus far and I am beyond thankful to have such special people in my life. You begin the year as strangers and end the year as family! What does dance mean to you? To me, dance means family. Dance is a community of people that is grounded in passion, support, hard work and dedication. It is a family that allows me to feel comfortable being my true self. A family that helps me grow and learn through taking risks, while being inspired by the individuals that surround me. Dance as a creative outlet of expression makes it possible to escape reality, live in the moment and appreciate the now. Dance is a family that sparks genuine happiness and makes me feel at home. Ideal travel destination: Hawaii because I am obsessed with anything and everything hibiscus print (seriously, no exaggeration. I love it!) and I am Lilo. Second runner up would be anywhere up north, in cottage country. Put me on a dock underneath the stars and I am the happiest fella that you ever did see! Harry Potter House: Hundo P Hufflepuff! The sorting hat doesn’t even need to touch my head to sort me into Hufflepuff, it knows I belong there as soon as I step into the Great Hall. I am the opposite of competitive. I prefer to watch competition and cheer both teams on! Don’t make me choose a side because I am simply unable to do so. As well, I love to socialize and meet new people. I am a textbook Libra therefore, I am a textbook Hufflepuff! What emoji describes your teaching style best? The caterpillar emoji describes my teaching style best. Firstly, I just love the emoji. It is so underrated, I mean have you seen the detailed hairs on that pillar? Secondly, my teaching style is unique just like the caterpillar. I like to switch it up every week and keep you all on your toes just as the caterpillar stands on its hind legs. Lastly, my teaching is bright and enthusiastic similar to the caterpillars green colouring. Check out Elyse’s choreography to see if Pre-Advanced Tap is right for you! You can contact Elyse and her Co-Director with any questions regarding QDC social events at social@queensdanceclub.com.